18 January 2003. Unplanned Lecture. Part of the Springhill Lectures series. Springhill Institute, Ladywood, Birmingham. 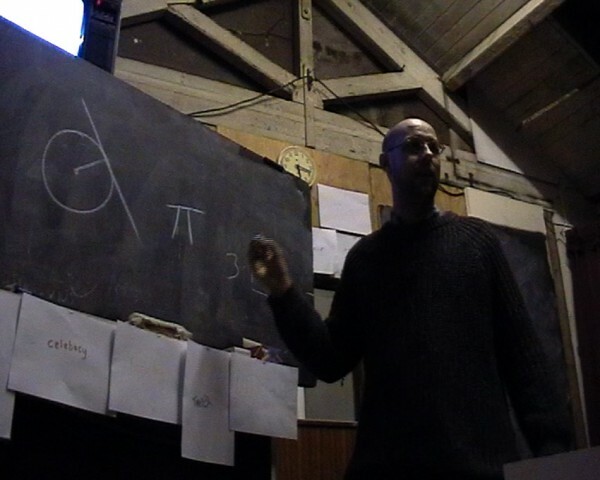 The video of this performance lecture has terrible audio because it was plugged in to the mains, and my understanding of certain concepts at the time is laughable, but I’m glad to see that I was at least trying to think at the limits of my understanding.